In this Nov. 9, 2017, file photo, an American flag is flown next to the Chinese national emblem during a welcome ceremony for visiting U.S. President Donald Trump outside the Great Hall of the People in Beijing. 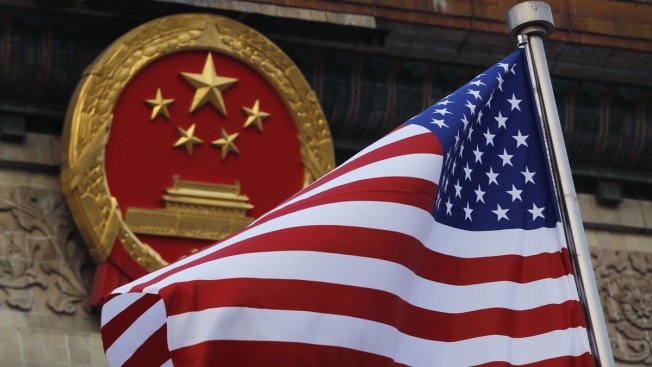 The State Department said an email notice Wednesday, May 23, 2018, that a U.S. government employee in southern China reported abnormal sensations of sound and pressure, recalling similar experiences among American diplomats in Cuba who later fell ill.
A U.S. government employee in China reported symptoms from late 2017 through April of "abnormal sensations of sound and pressure"
A U.S. government employee in southern China reported abnormal sensations of sound and pressure, the State Department said Wednesday, recalling similar experiences among American diplomats in Cuba who later fell ill. The employee had symptoms matching mild traumatic brain injury, a representative of the U.S. Embassy in Beijing told NBC News. The employee reported symptoms from late 2017 through April and was taken to the U.S. to be evaluated. China has promised to investigate, the representative said. In an emailed notice to American citizens in China, the department said it wasn't currently known what caused the symptoms in the city of Guangzhou, where an American consulate is located. "A U.S. government employee in China recently reported subtle and vague, but abnormal, sensations of sound and pressure," the notice said. "The U.S. government is taking these reports seriously and has informed its official staff in China of this event." 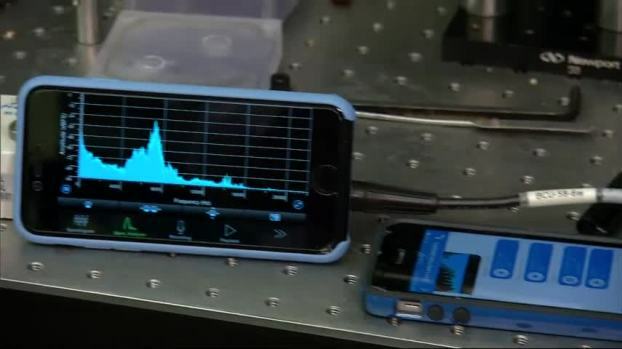 The Associated Press has obtained a recording of what some U.S. embassy workers heard in Havana as they were attacked by what investigators initially believed was a sonic weapon. The recording published Thursday is one of many taken in Cuba since of sounds associated with attacks that started last year. The department said it wasn't aware of any similar situations in China, either within the diplomatic community or among others. It didn't further identify the person with the symptoms or say when they had been detected. China's Foreign Ministry and National Health Commission did not immediately respond to faxed questions about the report. Despite hundreds of billions in annual trade between them, China and the U.S. are considered strategic rivals for influence in Asia. Tensions in the relationship frequently flare over accusations of cheating at trade, stealing of secrets, human rights and arms sales to Taiwan, a U.S. partner that China claims as its own territory. In Cuba, the U.S. reported that some of its personnel and family members experienced a range of ailments, often after hearing an unusual sound. For most, the symptoms occurred around May 2017. The still-unexplained incidents sparked a rift in U.S.-Cuban relations, while investigators have chased theories including a sonic attack, electromagnetic weapon or flawed spying device. Symptoms, sounds and sensations reportedly varied dramatically from person to person. 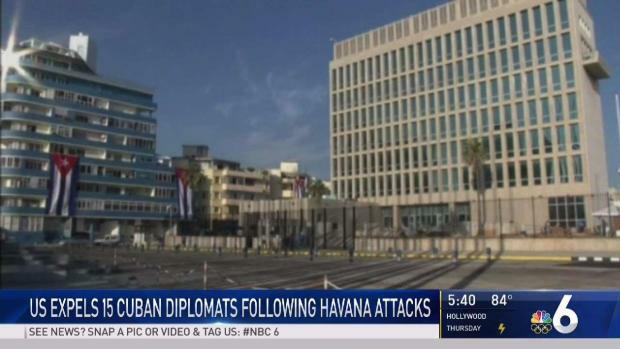 The United States expelled 15 of Cuba's diplomats Tuesday to protest its failure to protect Americans from unexplained attacks in Havana. Of the 21 medically confirmed U.S. victims, some have permanent hearing loss or concussions, while others suffered nausea, headaches and ear-ringing. Some are struggling with concentration or common word recall, The Associated Press has reported. Some felt vibrations or heard loud sounds mysteriously audible in only parts of rooms, and others heard nothing.